SINGAPORE/DUBAI (Reuters) - Groundings of brand-new Boeing 737 MAX 8 jets have sent shockwaves through global aviation after a crash in Ethiopia, but many airlines are managing to keep to schedule with other jets while economic woes mean some may be grateful for a pause. The Ethiopian Airlines crash that killed 157 people on Sunday was the second 737 MAX crash in less than six months, with 189 others killed when a Lion Air jet went down in Indonesia in October. At a time when crashes are rare, that is an unusually bumpy entry into service for a new jet. Brazil's largest airline, Gol Linhas Aereas Inteligentes, had placed a firm order of 100 Boeing 737 Max 8 jets as of last month, according to the carrier's latest earnings release. It currently operates seven such planes, which it decided to ground late on Monday. The airline operates Boeing 737 models exclusively and announced in December that it was accelerating its transition to the newer Max 8 planes. 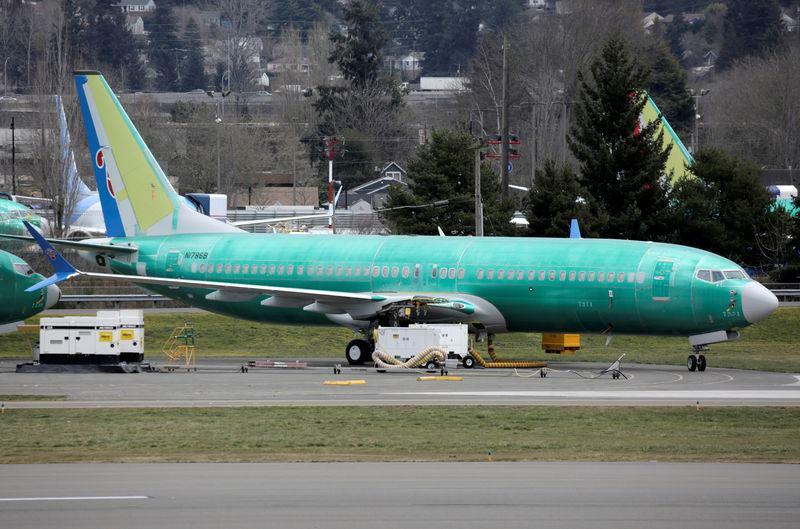 It threatened in November to cancel Boeing orders in a row over the crash but has yet to do so, industry sources said. Airbus SE is another supplier and is seen in talks to sell more.